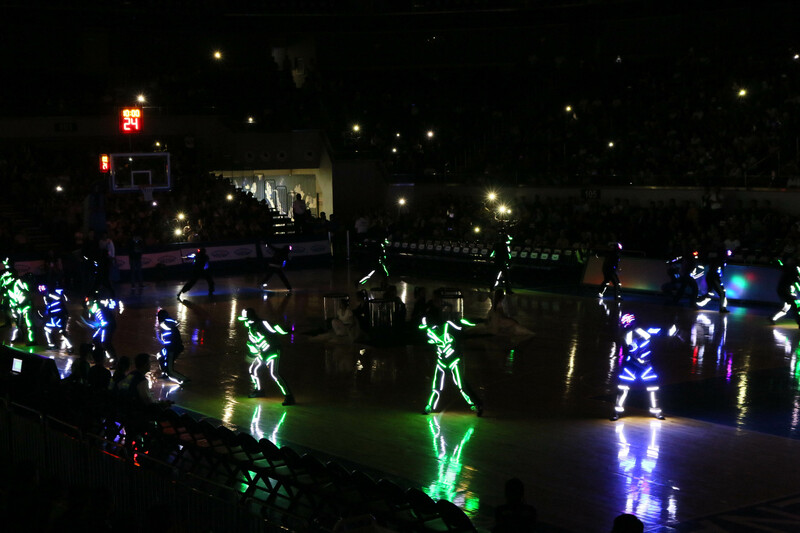 Pasay City, Philippines [9/2/2016] UNTV Cup Season 5 is the most anticipated basketball league in the Philippines. Its unique vision is endless. Spearheaded by Mr. Public Service Kuya Daniel Razon and Bro. Eli Soriano, a simple vision that is now emulated by different organizations. The only difference is commitment. Heart. Guts. But above all, trust what God can do. The new season welcomes another new team to the league. The Bureau of Customs or the BOC Transformers. 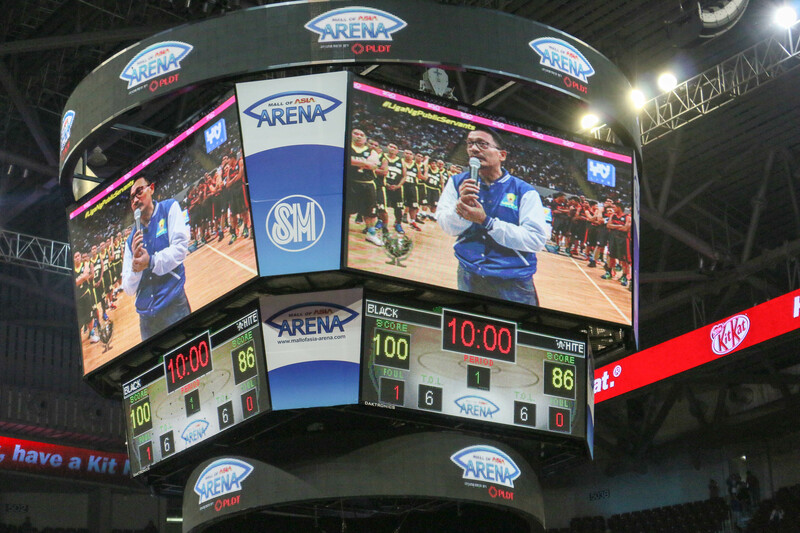 Caritas Manila, Inc. as their chosen beneficiary, Commissioner Nicanor Faeldon also graced the opening and boosting the teams’ morale. To further ignite the team, veterans Marlou Aquino joins the team with fellow veteran Kenneth Duremdes. Kuya Daniel appealed to everyone’s full support for the on-going transition and reformation of the Bureau of Customs. The Season 5 of UNTV Cup, 13 teams will be fighting for the over 8 million pesos to be given to the charity of their choice. Before the game proper starts, Bro. Eli voiced out the bad practices in the government and now that President Duterte implementing a complete turn-around, little by little, red tapes are being eliminated. He sends his inspiring words to all the players. 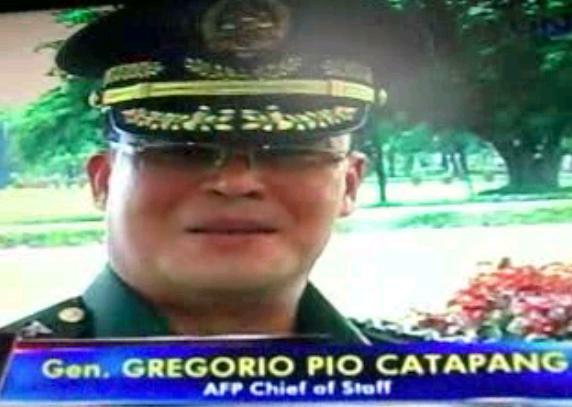 “Ito pong ginagawa ng UNTV, mga public services, napakarami po nito. It will not be possible without the help of the Almighty, the Members of the Church of God International, lahat ng mga team na lumahok, kasi naniniwala kaming bayani kayong lahat. You sweat.. para ikaw ay mapagod para makagawa ka ng tulong sa mga charitable institutions kagaya ng mananalong team, ido-donate nila yung kanilang mapapanalunan doon sa mga charitable institutions of their choice, naniniwala akong it’s a kind of sacrifice. Salamat sa ating mga senador, mga pulis, sa government agencies na lumahok, patunayan ninyo na sa paglahok pa lang ninyo, inyong pagnanais na makatulong sa kapwa Pilipino. Kailangang kailangan kayo ng bayan. Samahan nawa kayo ng Panginoon mga kapatid, mga kababayan, mga kaibigan at sana palawakin pa ang magagawang charitable works ng UNTV sa pamamagitan din ng UNTV Cup. Eventhough it is a rough start of the two teams (Cavaliers vs Defenders), every player held it together throughout the game and ends the game with high spirits. 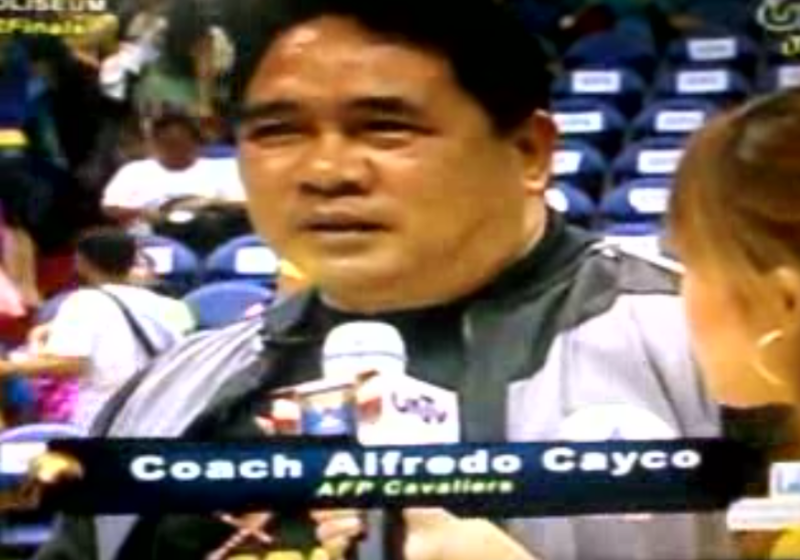 AFP Cavaliers won with a score of 85-71, as Boyet Bautista got the player of the game. Thrilla in MOA Arena for the Opening of the UNTV Cup Season 5! 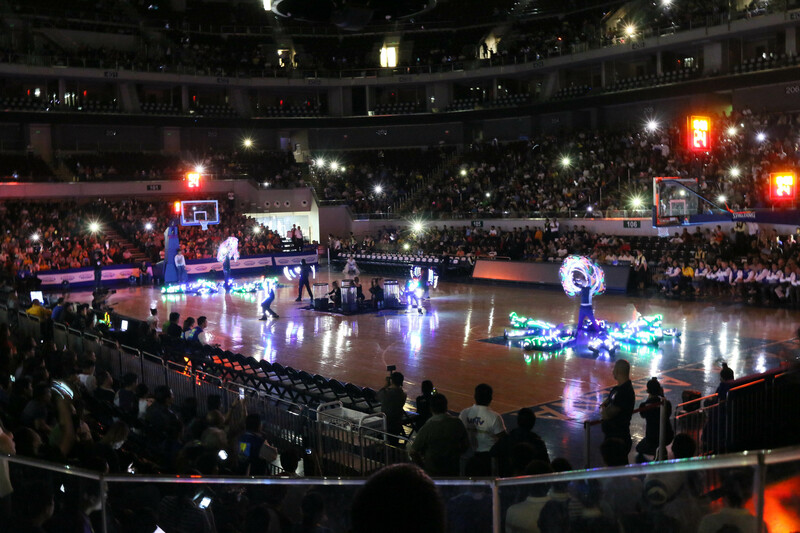 Manila, Philippines [8/31/2016] The opening of the UNTV Cup Season 5 and the arrival of basketball enthusiasts flooded at the Mall of Asia Arena on August 29th 2016. For this season, 13 teams will vie for the championship title and their chosen charity. A crowd of excited fans arrived early to get the best seats and to meet up close and personal of their favorite team players. The crowd outside the MOA, cheering their and singing as they waited for the gates to open. In anticipation of the much-awaited opening, singers Jay R and Jed Madela serenade the crowd on their current hit singles. On the lighter side, AJ and Le Chazz entertains the crowd with their funny tag lines. Both a veteran in stand-up comedy. Welcome the new team, the BOC (Bureau of Customs) Transformers which is supported by Commissioner Nicanor Faeldon. Marlou Aquino also joins the team joining fellow veteran Kenneth Duremdes. 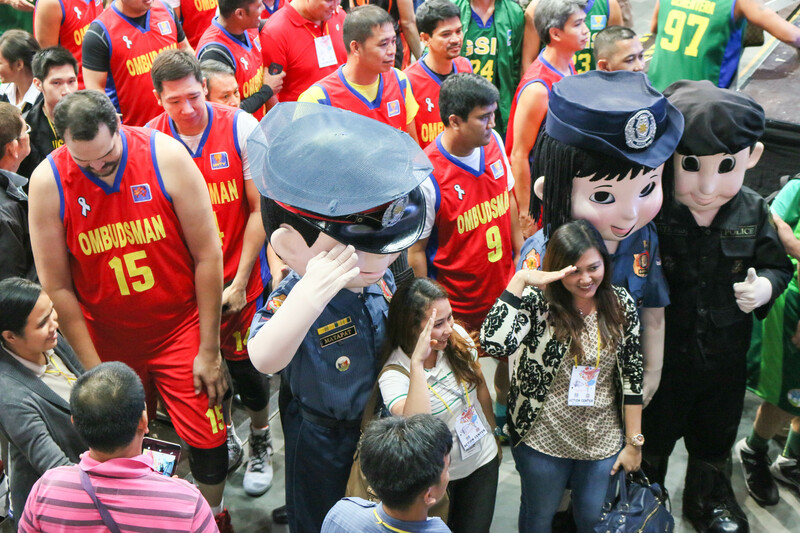 A ceremonial toss between the AFP Cavaliers and the Senate Defenders’ start of the opening game. On the first 2 quarters, both teams are having a hard time making points. AFP won the first game with a score of 85- 71. Apalit, Pampanga, Philippines [8/28/2016] The UNTV Cup Season 5 will feature two of the Philippines most talented singers. Mall of Asia Arena (MOA) is the place to be on August 29, 2016. A basketball event you should not miss. Kuya Daniel Razon spearheaded one of the firsts in public services in the country. This basketball event is specially formed to promote comradery and is the first and one of a kind charity basketball league. Jay R, Philippines’ RNB King, also has his hands on taking part into collaborating with different artists like “Kaya Natin Ito” which is a tribute to the Typhoon Ondoy. The proceeds is given to the Philippine Red Cross and Gawad Kalinga. Both artists has the heart into public service. Both artists had been a constant guest artist to many events of Kuya Daniel Razon. UNTV Cup Season 5 will not be complete without the full support of Bro. Eli Soriano of the Members Church of God International (MCGI) also known as Ang Dating Daan. Funny tandem of AJ and Le Chazz will also tickle your funny bones. See you at the Mall of Asia Arena!!! Apalit, Pampanga, Philippines The UNTV Cup Season 5 Ang Liga ng Public Servants opening ceremony will take place at the SM Mall of Asia Arena on August 29, 2016. Biggest surprise is that “Pambansang Kamao” and Senator Manny Pacquiao will be joining the team Senate Defenders. Both senators’ Joel Villanueva and Sonny Angara is a fan of the boxing champ. Setting aside of his boxing gloves, now with the Senate Defenders jersey, will they be the one to beat? Will Manny Pacquiao help to knock other teams? UNTV Cup is the first and one of a kind charity basketball league in the Philippines spearheaded by Mr. Public Service Kuya Daniel Razon and Bro. Eli Soriano. Pasay City, Philippines. The long wait is finally over as UNTV Cup Season 4 opens at SM Mall Of Asia Arena on August 24, 2015, Pasay City. The event is highlighted by introducing the teams from different branch of the government. APF Cavaliers, BFP Fire Fighters, DOJ Justice Boosters, GSIS Furies, House of Representatives Solons, Malacanang Patriots, NHA Builders, MMDA Blackwolves, PNP Responders, The Senate Defenders, The Judiciary Magis. The Ombudsman Graftbusters were added to the line up of the players. Expect the best game plays and best moves for this season has to offer. 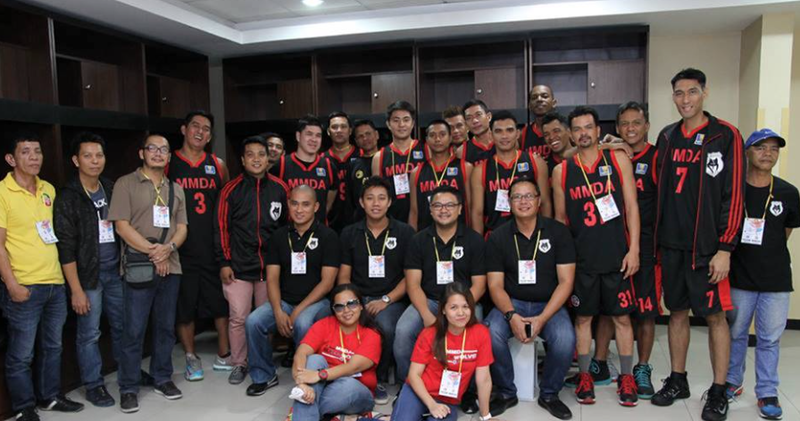 Johnedel Cardel of the Blackwolves used to play for the Negros Slashers (Metropolitan Basketball Association); Warren Ibanez of the Judiciary Magis (former player of the Red Bull Barako); Boyet Bautista (former player of Harbour Center Batang Pier, PBL)– pointguard, AFP Cavaliers. Veteran players like Arnold Gamboa, Gerald Francisco and Kiko Adriano for the HOR Solons (House of Representatives) , Jeffrey Sanders of MMDA Blackwolves, Kenneth “Captain Marbel” Duremdes, Don “the Hammer” Camaso at Potch Juinio of Malacanang Patriots. 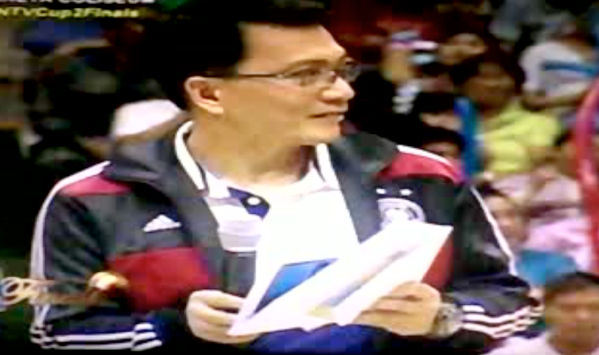 Edward Joseph “E.J.” Feihl used to play for the PBA Team Ginebra. He stands 7’1” – tallest Filipino player to play at the PBA. He was included in The Ombudsman Graftbusters. The MMDA Blackwolves beat the Judiciary Magis, 76-56. Still injured, Don Camaso and John Hall of Magis is missed by the fans for their good plays. 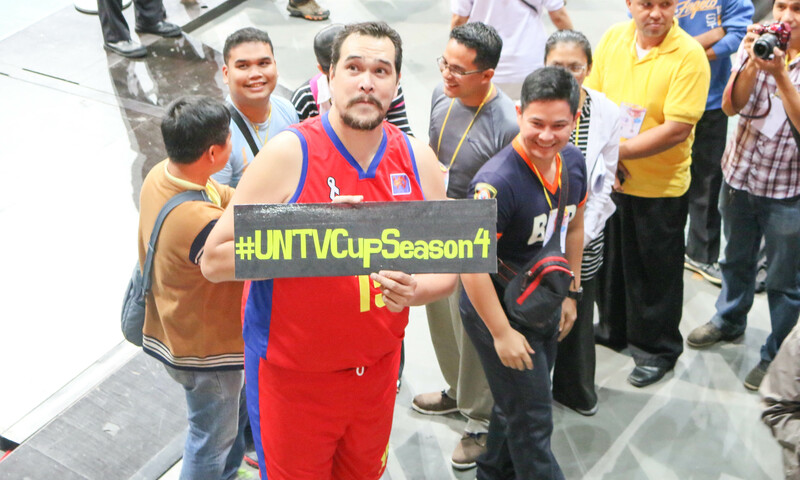 The opening of the UNTV Cup Season 4 is one of the highlights of the 11TH anniversary of UNTV themed UNTV Live Bigger, a two-day celebration. 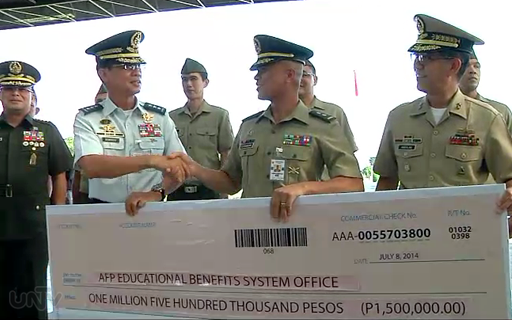 The P1.5 million check won by the AFP Cavaliers in UNTV Cup Season 2 was received by the AFP Chief of Staff Gen. Gregorio Pio Catapang at the AFP General Headquarters at Camp Aguinaldo for the benefit of the children’s soldiers who were hurt and diseased, through the foundation, AFPEBSO. 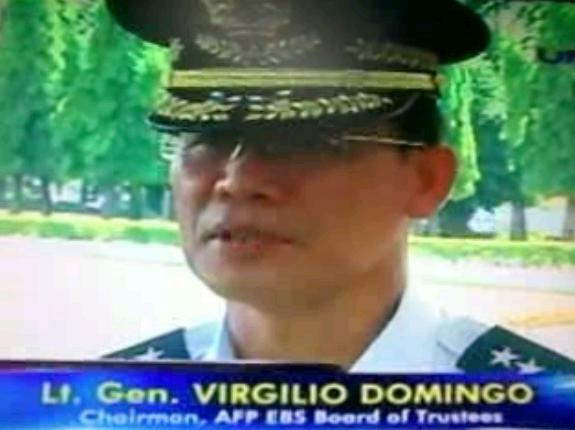 Lt. Gen. Virgilio Domingo stated that this would mean so much for the orphaned family members left during the combat. “I am really happy for this championship, but for now, we can just relax and after, we could start practicing for another back to back win. Till next season. 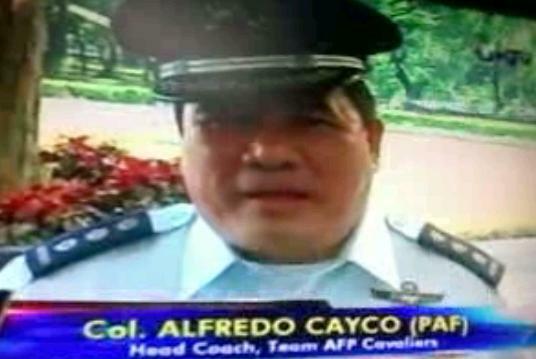 he AFP Cavaliers had undoubtedly won the game through their perseverance and a big heart to bring that trophy for the kids whose parents had been lost during the service. This is spearheaded by the Chairman and CEO of Breakthrough and Milestones Productions International (BMPI) Kuya Daniel Razon. 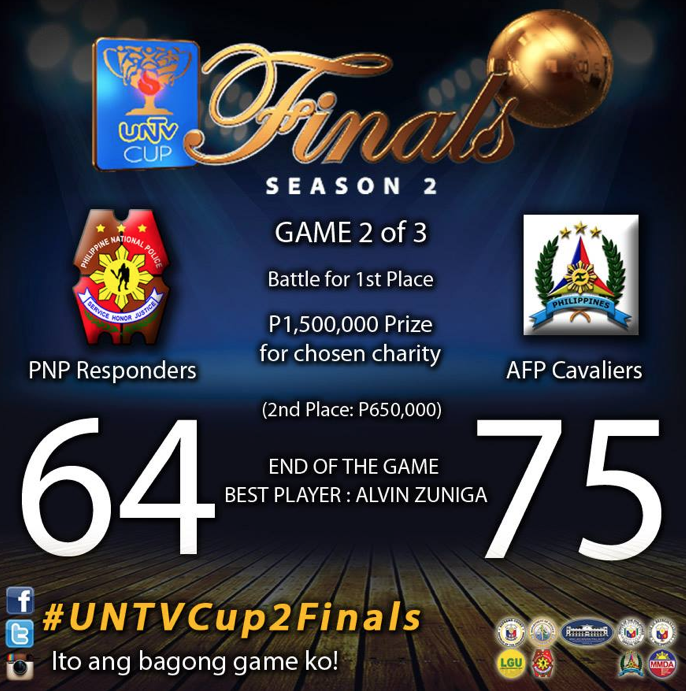 UNTV Cup is one of the advocacies of Kuya Daniel to help the needy and deserving individuals. Making a difference in reaching out to the most unique way as possible is now being imitated by different tv stations. Bro. 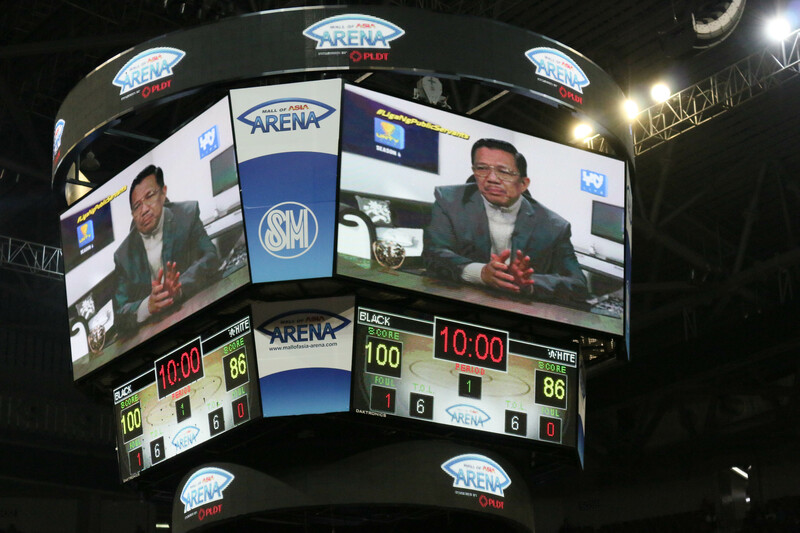 Eli Soriano, Presiding Minister of Ang Dating Daan is one of the major supporters of UNTV Cup. Because of the astounding success of this season’s basketball league, he had added an additional 500,000 to the winning team. 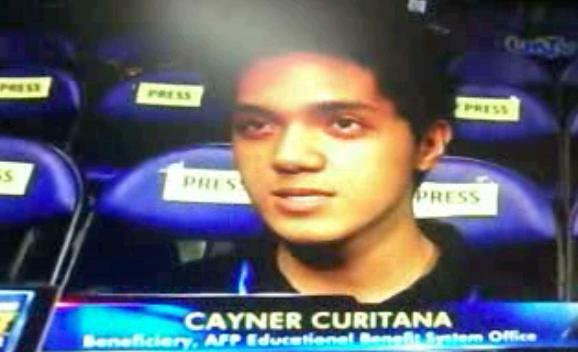 AFPEBSO has 4,322 scholars throughout the Philippines and and Cayner Curitana is one of those, taking up archintecture. Expect another exciting and an interesting set of games for the next season of UNTV Cup, Ito ang Game ko! Quezon City, Philippines. 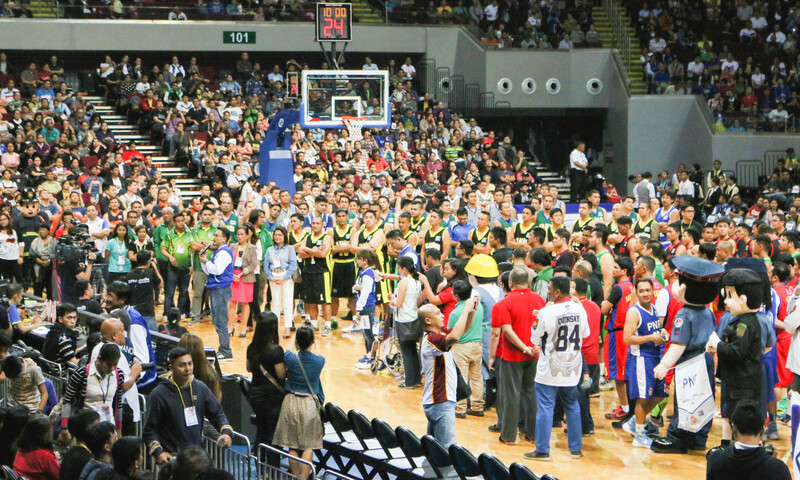 AFP Cavaliers drowned the PNP Responders with their head to head match in the fully-packed Smart Araneta Coliseum on July 1, 2014. 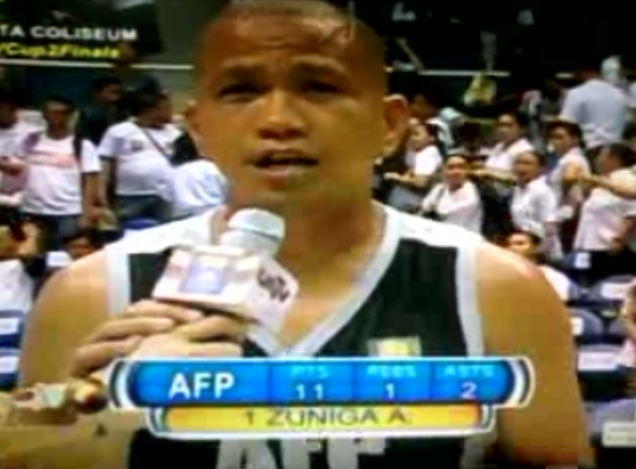 AFP Cavaliers’ Paulino Fernandez and PNP Responders’ Ollan Omiping scored the first 2 points and a fade away shot. A back to back 3 point shot by Alvin Zuniga as the PNP fumbles in a transition. Eugene Tan added another 3 points with 3 minutes remaining, a score of 16-4 in favor of the Cavaliers and finishing the second quarter with 18-7. The Cavaliers dominated the 2nd quarter, 22-7 making it the lowest game score. AFP used a man to man guard and a full body contact to stop the Responders from scoring. Omiping made 2 free throws but Alvin Zuniga steals the ball from the running game of the Responders. With 21 rebounds, 10 assists, 5 steals and a block at the second quarter, the Cavaliers stopped the defense of the Responders. The final minutes of the 3rd quarter, the Responders crashed down to a 22 point lead by the AFP Cavaliers with a score of 59-37. Center Jeffrey Quiambao, Ian San Esteban, Roger Araneta and Eugene Tan also played their best at the crunch time while Alvin Zuniga boxing his way through the net as the score of 75-52 with less than 2 minutes and 30 seconds. The 4th quarter ended with 75-64 as the Cavaliers’ 43 rebounds, 10 assists, 9 steals and 5 blocks. An inspirational message is given by Kuya Daniel Razon and Bro. Eli Soriano of Members Church of God International both to the players and to the fans. An additional 500, 000 is given by Bro. Eli Soriano for the winning team for the efforts given by the players and coaching teams for the benefit of the teams’ charities of their choice. MMDA Band opens the UNTV Cup 2 Finals hosted by Ryan Ramos and Rheena Villamor. An exhibition game between Team Executive vs Team `Legislators welcomes the first game. Captain Yamamoto and Sec. Joel Villanueva rallied at the last minute of the second quarter but the Legislators fought back to gain the lead. Team Manager of the Legislators, Senator Ralph Recto, Cong. Neil Tupas and Senator Sonny Angara also played their best plays. The tight ball game between the Executives and the Legislators final score, 66-65 in favor of the Legislators. 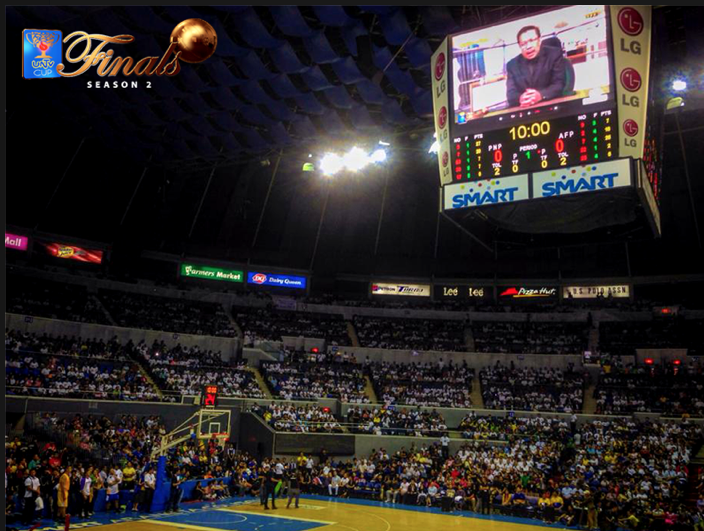 On June 8, 2014 at the Smart Araneta Coliseum, the two teams will fight for the coveted title for UNTV Cup Season 2 Finals is on.